This week we got to spend a sunny morning on a beautiful Sussex farm with shepherdess Susanna Steer and her flock of sheep. Susanna has over 20 years experience in farming sheep and we loved hearing about all about wool production and what it is like to be a shepherdess. The first thing that struck us about Susanna, aside from her warmth and passion for her work, was her careful attention to her flock. She knew which sheep needed their feet checked, who had eaten too much new grass, how many lambs each one had this year, or which one had cheekily snuck through a hole in a fence and ended up not quite where they should be. 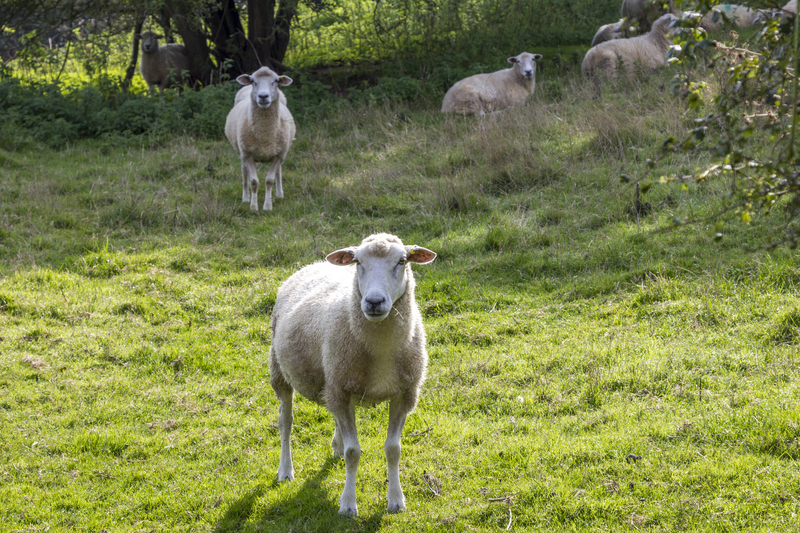 This diligent attentiveness combined with her forward thinking expertise, resulting from her extensive and varied experience of twenty plus years working with sheep, is why her flock is thriving. And consequently, how we’ve ended up with such beautiful 100% Romney DK yarn on our shelves at YAK. We were picked up at the station by Susanna and her two sheepdogs, Rizzo and Dot, and were driven out of town into the surrounding rolling fields to her Aunt and Uncle’s farm. On arrival we were given wellies and we made our way out into the fields to meet the sheep. Susanna’s flock is made up of pure Romneys, some Romney x South Downs crosses and a few Black Welsh Mountain sheep. Wool production is a fairly new venture for Susanna and she has chosen to keep every step in the process as local as possible. She uses an independent spinning mill just 40 minutes away from her farm and loves being able to go and watch the fleeces being processed, through the various machinery to become the skeins we have at YAK. As you can imagine, we were quite excited to be able to ask all our questions about sheep farming and wool production and Susanna was very generous with her time and shared her story so openly with us. 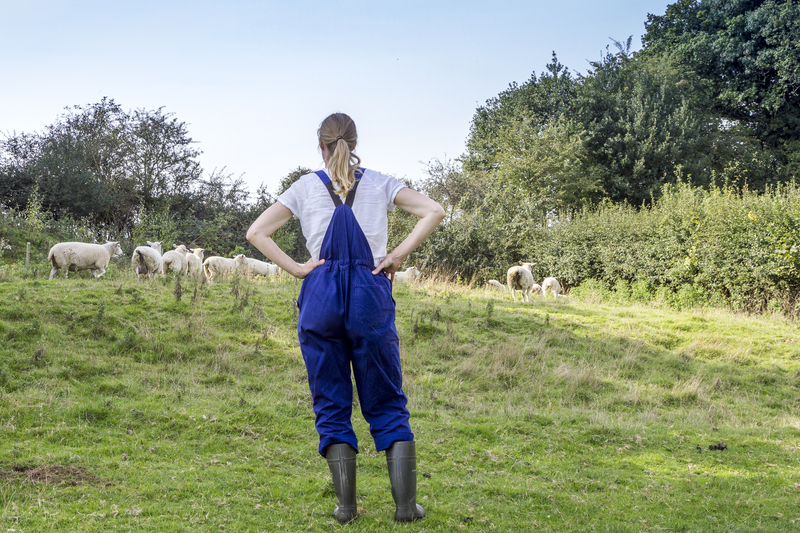 When did you know you wanted to be a shepherdess and how did you get where you are today? I always loved animals and being outdoors. My dad’s business was farm building construction so I used to go out on site to farms with him. His father was a farmer and it goes back quite a long way. Apparently, there are shepherds in my past too. I’ve got a picture at home of my great grandfather with his shearing gang, all sat together with their hand shears and funny leather chaps and hats, but I had no idea until recently that he did that! When I was 18, a sheep farmer up the road was pregnant and she needed a bit of help, because you’re not supposed to do too much with lambing sheep when you’re pregnant. It was just an Easter job and I thought, I’m outdoorsy and I like animas, so I’ll go out and help with the lambing. She was very good and just let me have a go, as well as taking time to train me up on the best way to do it and I just fell in love with it. So I thought I’d go off to agricultural college in Winchester after that. I had to work with cows and pigs and had to try a bit of everything, but it was still sheep that I was most interested in. I came out of that and got a job on a farm and after that went from farm to farm. When I turned 30, I went on the sheep course in Northumberland which was one of the last places that did just sheep. 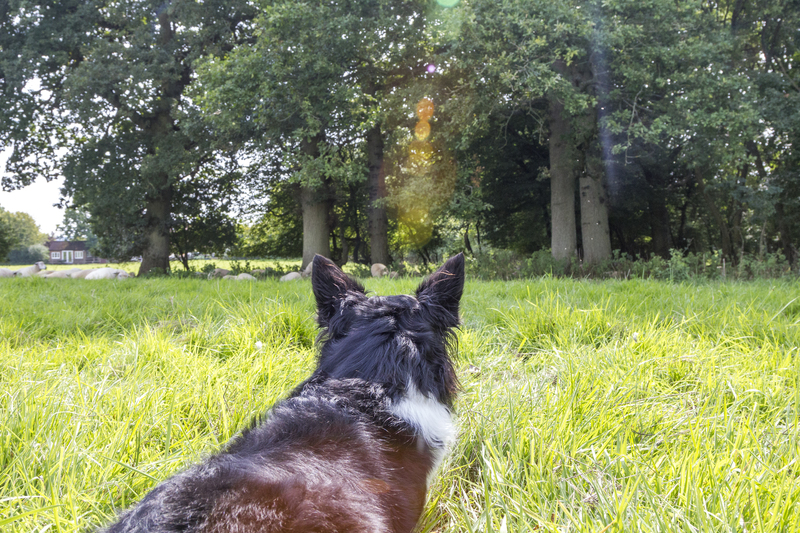 You get a sheepdog at the beginning of the course and you train your dog on the course with you. You learn so much by going from farm to farm. If you just stay on your family farm your whole life I think that’s quite limiting. I learnt so much from all these different shepherds. They all had their own little way of doing things or little tricks that they’d learnt along the way. I’ve been doing this for over 20 years now and I say every year that I learn something new, either from someone else, or something where I think, why didn’t I do it like this before. What’s it like having your own flock after working as a shepherdess for other people for 20 years? I love the fact that I can do everything my own way. Everything I’ve learnt over the years I can now apply to my own flock in a way that works best for them and I’ve now got space and time to do that. Can I just ask about the word ‘shepherdess’, do you mind it? Is it a contentious thing? I don’t mind it, some people do, some people say either, some people just say shepherd. Maybe I’ll do a survey and send it around! Is it unusual to be a female shepherd? I think the majority are male. When you go to a sheepdog trial or something where everyone is together, they are mostly men. But there are more and more women and more young women coming up into it. I think in farming, shepherding is quite appealing if you’re a woman, because you can physically do it all yourself. There’s nothing that I can’t do that a man can do. What do you love about being a shepherdess? I love the fact that you can do everything on your own with your dogs, and just being outdoors. It is nice being on your own and I think the kind of person who goes into shepherding is the kind of person who doesn’t mind being on their own for hours and hours on end. You do meet people at sheep dog trials and whenever I meet anyone who also has sheep, you just can’t stop talking about sheep with them! It’s also really nice working with dogs. That really appealed to me when I was younger. When I got my first dog, he was rubbish and didn’t know his left from right, but I was like, I’ve got my own dog! When you are just starting out and you haven’t developed your ‘sheep sense’ yet, it can make you want to tear your hair out! There will be one sheep that you just can’t catch! Now I just stop and think; I am much cleverer than this sheep and I just need to work out what I’m doing and outwit it in a logical fashion! There are also different challenges that come with the weather. For example, this summer, the heat wave brought worries about whether we would have enough grass and we also had four cases of summer mastitis this year and that was really sad. Why do you like keeping Romneys? Romney ewes are really good mothers, they’re milky, caring and diligent and they lamb on their own without needing too much help. They’re really good forage convertors, so they’ll eat anything and make really good use of it. So they don’t need a lot of feeding or fuss. When I’ve worked with other breeds, they all seemed to have a downside, like their lambs would be lazy and just come out really lackadaisical! But with the Romneys I can’t seem to find a downside. 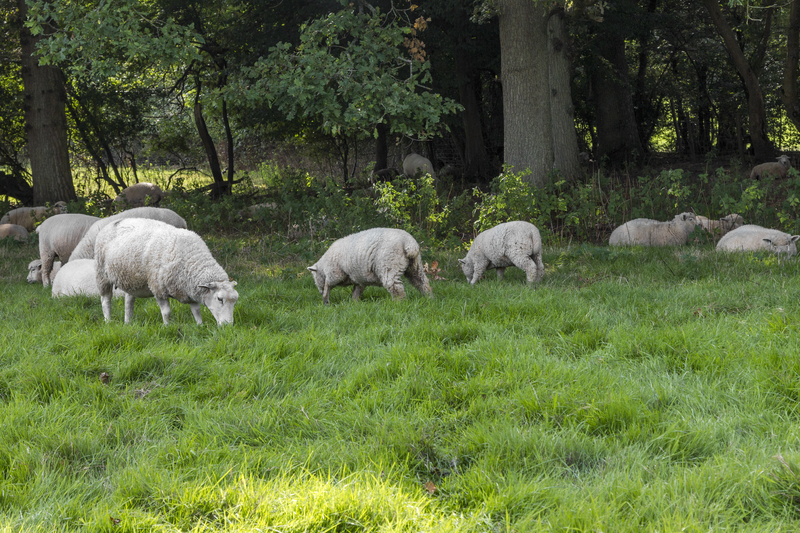 What’s a typical day like as a shepherdess? Because Romneys are very low input, there are days I just come and look at them in the morning and then I’m done. Lambing time is quite gruelling and lengthy and tiring. At lambing time, the day starts at dawn and ends at about midnight. I lamb them all outside, rather than in a pen. Out here they can make their own decision about where they’ll have their lamb, so they pick their spot and then they go off on their own to have it. Sometimes it’s a bad decision, so you might find one that’s slipped under a fence or right next to a rabbit hole. You watch them and get to know how long it’s going to be before the lamb is born and you just keep an eye on them. If they’re having any trouble, for example if you can see toes coming out first, or if they’re upside down or backwards or it’s just going on and on, then you intervene and help them. But it’s best to leave them as much as possible and then catch them up 24 to 48 hours later to put rings on them, weigh them and record everything. How do you decide which fleeces to turn into yarn? I put aside a big pile of fleeces and then go through them and decide which ones I’m going to take. You can see in the wool if there’s a weakness in it or if it’s been bad weather, or it can be a bit yellow in parts if they’ve been poorly. I’ve bought sheep from different farms and I’ve noticed that the wool can be different depending on the farm I bought the sheep from. Some are silkier or shinier or more lustrous and the crimp can be different too. My New Zealand Romneys have a really lovely fleece. So this all plays a part in how I pick the fleeces and I favour the sheep that have nicer wool. The first year I sent four fleeces and after you remove the muck and rubbish, you get around 6kg of useable wool which is about fifty 100g skeins. This year I sent off eight fleeces, so I’ll have even more. 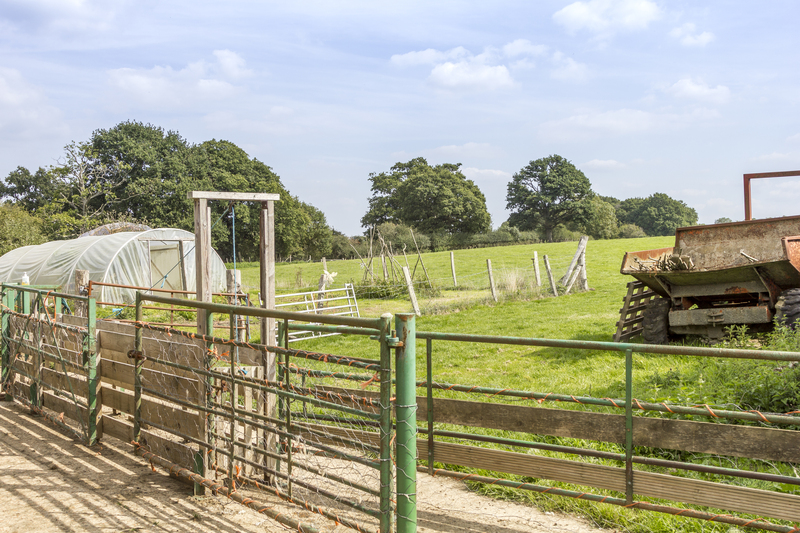 What are your plans for the future of wool production at Barcombe Romneys? I’m seeing how it all goes. At the mill now I’ve sent off some of the Black Welsh Mountain fleeces. They’re crossed with Romneys to give the fleeces more lustre and length and it was lambs wool so it really is quite nice. It’ll be mixed in with the white and should come out a lovely mocha colour. So that will be exciting to see! If it goes well, I might even think about buying a flock of Black Romneys. One day I’d love to be able to go to a knitting show and have a big display and take a huge load of wool. This will be my fourth year with my own sheep and this year I’ll be fitting it around a new baby, who’ll be just a few months old during lambing time. I don’t know any other shepherdesses who have a baby, or how they mix the two together so we’ll see. But it’s been so nice to see useable wool come from my sheep and to see people enjoy it and make stuff with it. 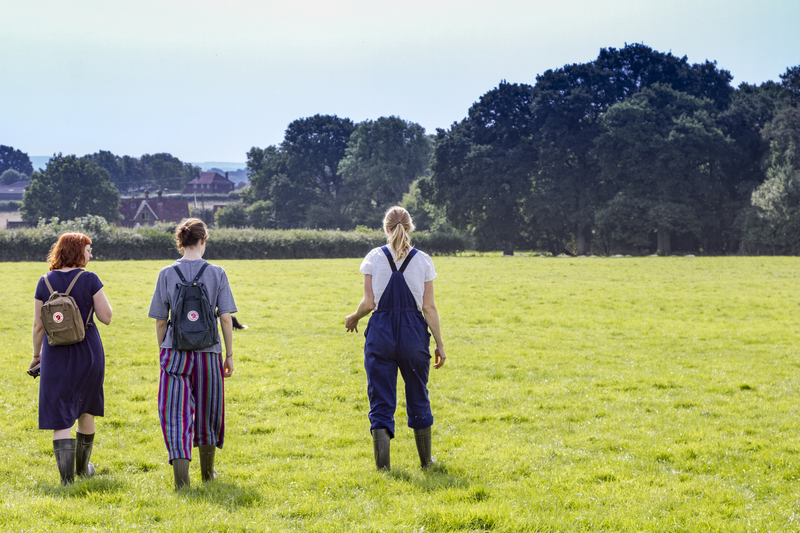 A huge thank you to Susanna for showing us around her farm and sharing her journey with us. We are so thrilled to be able to support such a local producer, especially one who cares so much about the welfare of her flock. 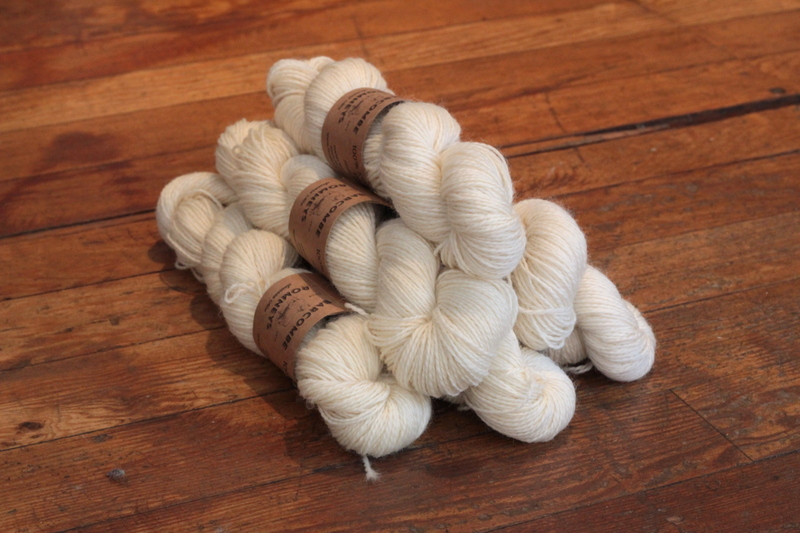 You can now find Barcombe Romney’s 100% Romney DK in store and on our virtual shelves here.